CHARTERED Accountants Ireland has recognised one of its most distinguished members, Sir Desmond Lorimer, for his significant contribution to the profession and to public life in Northern Ireland. Sir Desmond, acknowledged as one of the most influential chartered accountants of his time and a leading light in the business world, was invited to address the Institute's council members on the occasion of the 50th anniversary of his presidency of the organisation, which has 27,000 members across the globe. As well as a successful career in practice and then in manufacturing, Sir Desmond played a key role in public life in Northern Ireland. He became the first ever chairman of the NI Housing Executive, then the first ever chairman of the Industrial Development Board (the predecessor to Invest NI), before then taking on the task of privatising the electricity industry in Northern Ireland. 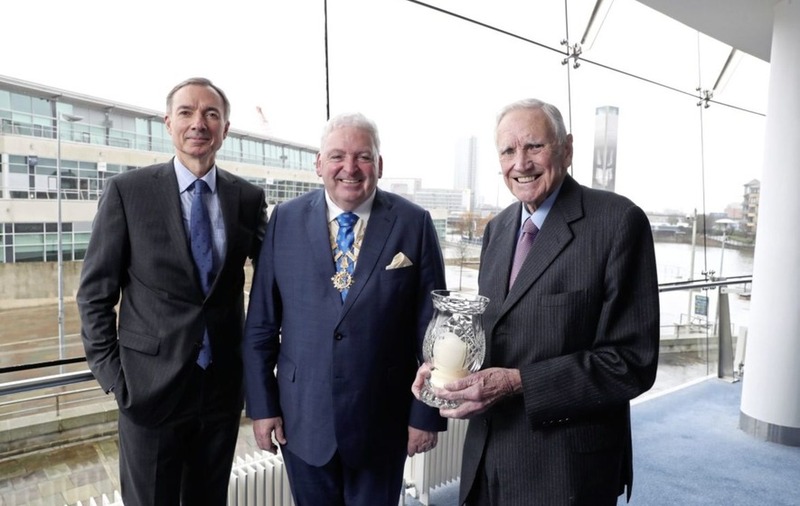 Feargal McCormack, president of Chartered Accountants Ireland said: “Sir Desmond is one of the pillars of the community whose contribution to the Northern Ireland economy has been immense.